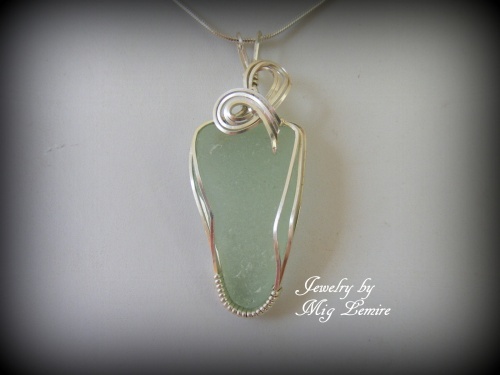 This pretty piece of authentic Maine seaglass is a soft minty color. Adorned with sterling silver curls on the top part of the glass. 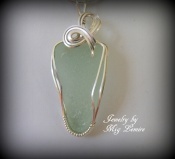 Piece measures 2" long from top of bail to bottom of pendant and 3/4" wide. Comes with a sterling silver snake chain.